​FirstNet will continue to work with public-safety representatives to ensure that its nationwide public-safety broadband network (NPSBN) evolves to meet first responders’ needs during the next 25 years, according to FirstNet officials. FirstNet will continue to work with public-safety representatives to ensure that its nationwide public-safety broadband network (NPSBN) evolves to meet first responders’ needs during the next 25 years, FirstNet officials said last week during the APCO 2017 show in Denver. FirstNet has been focused for the past several years to conduct a procurement to select a contractor to build and maintain the NPSBN for the next 25 years—AT&T was awarded the deal in March—but the organization will fill a different role as the network becomes operational in the future, according to FirstNet Chairwoman Sue Swenson. In this role, FirstNet also will continue to work with the public-safety community to ensure that “what public safety wants is what public safety gets” and that AT&T fulfills its contractual obligations, according to Swenson, who has supported an expanded role for the Public Safety Advisory Committee since becoming chairwoman. “I think it’s important to understand that FirstNet will continue to play a role to make sure that AT&T conforms to the contract,” she said. “This is a very complex effort. It’s not just building a network, it’s building an organization, and FirstNet will continue to play a very important part to actually oversee and make sure that AT&T delivers what they are supposed to. FirstNet board member Kevin McGinnis echoed this sentiment. Chris Sambar, senior vice president of AT&T – FirstNet, said that FirstNet’s oversight role is understood by AT&T employees and noted that the FirstNet role as a public-safety advocate should make a FirstNet subscription more attractive to first-responder organizations than traditional commercial offerings. 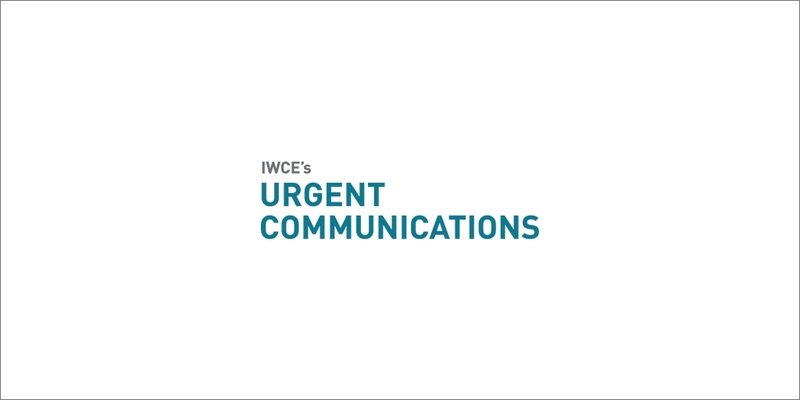 “You’ve got a federal entity that’s got a contractual commitment with us,” Sambar said during an interview with IWCE’s Urgent Communications. “They’re going to hold us accountable to perform in accordance to the contract. While FirstNet is responsible for holding AT&T accountable, FirstNet also is held accountable—by public safety, according to Swenson. FirstNet CTO Jeff Bratcher noted that FirstNet officials conducted extensive outreach efforts with public safety in preparation for the nationwide procurement process and vowed that such efforts will continue after the public-safety broadband network is operational.